SAN FRANCISCO — What is 2012 likely to bring to the tech industry and its users? IDG, the international publishing organization of which IT World Canada is an affiliate, surveyed its editors to gaze into their crystal balls and predict a key trend or development for 2012, as well as select their key story for 2011. The death of Apple Inc. CEO Steve Jobs and the rise of social media as a tool of protest topped a diverse roundup of nominees. Here are the editors’ individual preductions for 2012 and their pick for 2011’s top story, in no particular order. Most signficant story of 2011: From a Canadian perspective, the decline and fall of Research in Motion has tested even loyalists. It’s amazing that a company that was simply seen as struggling to keep up with a rival (Apple), could move from reasonably expectations around the PlayBook tablet to fighting for its very existence in a 12-month period. It’s raised questions about mobility, consumerization of IT, corporate leadership and pretty much every other issue that made headlines in 2011. Only Nortel weathered this much bad press, but for some reason I still can’t count them out completely. 2012 crystal ball: It may take more than a year’s time, but I see a few new areas heating up over time. One is human capital management: SAP’s purchase of SuccessFactors showed how signifcant this market could be, and as more companies struggle with the economy they’ll be looking for ways to automate a lot of functions in human resources, which is starting to be perceived as even more of a cost centre than IT. Another area is social media analytics, as witnessed by Salesforce.com’s acquisitions of Canadian firms Radian6 and Rypple. All those conversations will eventually be treated as enterprise data. 2012 may be the year technology moves from merely listening in to what’s being said on Facebook, Twitter and LinkedIn to actually turning it into competitive intelligence. Simon Jary, publishing director, IDG U.K. Most significant story of 2011: Tech patent wars. Although public patent disputes used to be the preserve of small-time patent trolls, 2011 has seen all the major players in the mobile sector go to war with each other in the courts, suing and countersuing, slinging mud, and attempting to rub out competitive products through the courts. It’s ugly and will end up costing the consumer and likely hindering innovation from newcomers. 2012 crystal ball: More blurring of the lines between laptops, tablets and smartphones, and between consumer and enterprise tech. Apple will lose more of its nice-guy sheen, even though its new boss isn’t as aggressively vindictive as the last. Most significant story of 2011: Mobility, without question. Whether it’s the influx of consumer devices into the enterprise or the development of mobile apps to do innovative things for their businesses, CIOs are all about mobile these days. When you look at the big five IT trends that have dominated this past year (mobile, social, consumerization, cloud, and big data), just about all of them hook into the mobility drive from one aspect or another. 2012 crystal ball: Ever greater attention to big data and how companies can use analytics tools to mine the data for customer insights, business opportunities, or cost savings. Most significant story of 2011: In the interest of choosing a development that’s less mainstream but in the sweet spot for Network World’s audience, I’m going with the emergence of OpenFlow. The big Interop 2011 show could almost have been called the OpenFlow show given that it served as one of the first significant exhibitions of OpenFlow switches and controllers, including those shown off in a lab at the event. The software-defined networking technology is designed to enable users to define flows and determine what paths those flows take through a network, regardless of the underlying hardware. OpenFlow stems from an open source project borne of a six-year research collaboration between the University of California at Berkeley and Stanford University. OpenFlow has momentum but is far from a sure thing or the only game in town, with heavy hitters such as Cisco Systems Inc. still weighing their options. 2012 crystal ball: Apple [Nasdaq: AAPL] explicitly goes for the enterprise market. Lots of stories were written in 2011 about how Apple almost accidentally has emerged as a huge force in the enterprise over the past few years as employees pressure IT to support their Macs, iPhones, and now iPads. Apple, meanwhile, has at least publicly barely acknowledged any focus on the business market. I expect that will change with Tim Cook in charge. Most significant story of 2011: The top story of 2011 is the much-longed-for rebirth of the music distribution business — via the music service Spotify (which is co-owned by some of the giants of the music industry: Sony, Universal, Warner, EMI, and others). Finally we’re able to listen to our favorite music digitally — conveniently and legally! Now we just need some competition on the market to lower prices and widen the music library. 2012 crystal ball: The next big thing of 2012 will surely be the smart TV. While we’re holding a 4-inch smartphone in our hand and browsing the 10-inch tablet in our lap, of course we’d want a 50-inch smart TV on our wall. There are already a handful of fantastic smart TV sets from Samsung, Sony, Philips, and others — and as soon as their ecosystems of apps and services are complete, we’re going to see a change of TV habits in our living rooms. Most significant story of 2011: Egypt shuts down the Internet. For years, the Internet has been touted as the Wild West of human relations and interaction, a cyberspace of virtual anarchy out of reach of conventional methods of suppression and repression by world powers. On Jan. 27, 2011, that myth was put to rest when Egypt, in response to widespread dissent and in an attempt to squelch growing protests, shut the Internet down, cutting the populace off from connectivity to the rest of the world, as well as shutting down all mobile and text services. 2012 crystal ball: Apple loses its sheen. I will buck the trend here (and potentially be vulnerable to assault) and state that I think 2012 will be the year that starts the decline of Apple as the emerging king of computing. With the maturation of HTML5, apps as a primary driver of mobile tech will be put in jeopardy as a new standard starts to truly emerge to provide major disruption. I also think the cult of Mac will see a backlash too, as people start to feel the confines of Apple’s walled-garden ecosystem, its hipper-than-hip marketing strategy, and the premium prices of its products. No, I don’t think its revenue will go anywhere but up for the time being, but its status of bleeding-edge vendor will start to degrade in the hearts and minds of the educated tech consumer. Most significant story of 2011: The death of Steve Jobs has undoubtedly been the biggest story of 2011. His death could mark a turning point in the history of Apple. The company has had one success after another in recent years with Jobs at the helm, but there is no guarantee that the new Apple will continue on the same path without him. On the other hand, Apple has a chance to leave behind some of the bad habits of Jobs, like his stormy relationship with the press. 2012 crystal ball: Among the trends I most clearly see is the total disappearance of optical discs like DVDs or Blu-ray and the decline of regular hard disks in favor of solid-state memory, which is getting faster, with higher capacity, and cheaper every day. Another trend is the unstoppable decline of movie theaters. The big screen is moving to homes and we’ll see growing competition among content providers like iTunes and Netflix. Game consoles are going to become media centers (with movie rentals, communications, apps, and TV on demand), and the TV manufacturers will compete to offer gaming consoles built into the TV. Finally, we will see a great popularization of cloud services for consumers and applications that work with data that are not on the device. Most significant story of 2011: The rise of social media in connection with protests worldwide. We first saw this in 2010, as protests broke out in Iran. But the use of social sites like Twitter, Facebook, and YouTube really helped shaped the course of events in the Middle East — especially in Egypt. That’s what prompted Egyptian authorities at one point to disconnect from the Internet, a stunning development when it took place. Social media allowed protesters in Egypt and other nations to keep the rest of the world informed about what they were doing, and helped shape world opinion about a number of crackdowns. 2012 crystal ball: We’re going to see an acceleration in 2012 of a tech trend that’s been bubbling along for a couple of years now: the BYOD (bring your own device to work) movement and the resulting need to manage all of these different devices. As more workers bring their own iPhones, Android smartphones, iPads, and tablets to work, IT shops are having to figure out how to support them all — and how to keep corporate data secure in the process. Managing mobile devices is going to be an increasingly important part of what IT deals with in 2012. My prediction: It’s only a matter of time before some big-name company loses important corporate data because of the failure to secure these personal devices. Most significant story of 2011: The iPhone replacing the BlackBerry as the corporate standard mobile device, in terms of new and replacement devices. iPhones are now the top-selling smartphones in business. And the implications go far beyond an individual product’s sales. First and foremost, it represents that the “consumerization of IT” phenomenon is both real and powerful. The iPhone is not an IT device, it’s a user device that has enough IT-oriented capabilities to evade IT blocks against it. We’ll see that same shift occur in other “bring your own tech” areas, such as Macs, cloud services, user-selected apps, Windows 8 tablets, and more in 2012. Second, the iPhone’s preeminence changed the expectations and opportunities for mobile and remote workers — the idea of a pocketable computer is now cemented, and businesses have rethought smartphones as a new kind of computing device that makes employees more productive and more capable in all sorts of new contexts. 2012 crystal ball: I believe we’ll be talking a year from now about the seismic shift in the makeup of the industry’s leaders. I believe we’ll see Hewlett-Packard Co., Dell Inc., Cisco, and certainly Research In Motion greatly reduced in stature and importance. RIM may not even make it till this time next year. I don’t at all believe HP [NYSE: HPQ] or Dell [Nasdaq: DELL] will die, but they will become legacy companies that, barring a wholesale reinvention such as what IBM did to regain importance, we won’t be thinking so much of. Cisco [Nasdaq: CSCO] will retreat to its own legacy market, having overextended in the last two years in an attempt to be more than a niche powerhouse. On the software side, Adobe is in the same camp. EMC VMware may be as well, but I think it will be more like Cisco: not a shrinking power like Adobe Systems Inc. but a local power that retreats to its strong niche. Microsoft Corp. will either join them or, if Windows 8 succeeds in reinventing it as a mobile-to-desktop continuum powerhouse, pull an IBM and once again be a real driver of positive technology change. Apple will still provide the key inspiration for our collective future, but Microsoft [Nasdaq: MSFT] will be the bigger driver of it actually happening in terms of volume and reach. Most significant story of 2011: The death of Steve Jobs. What else could it be? Apple’s rise to prominence is the biggest story in the tech industry of the past decade. Steve Jobs’s companies created the first mass-produced personal computer, redefined the personal computer interface, created the idea of the computer-animated feature film, changed how we purchase and consume music, altered the telecommunications industry forever, and finally made tablet devices a success. He’ll go down as perhaps the most notable person in the history of this industry, and his passing forced us all to reflect about his influence. 2012 crystal ball: Android fracture. I think more companies will attempt to do what Amazon.com has done and use Android as a basis for products but not involve Google. In fact, I wouldn’t be surprised if we see a wave of Android-based tablets and smartphones from companies other than Amazon that are integrated with Amazon’s media services and app store. Most significant story of 2011: I believe the most significant trend for this year was the rise of cloud technology, both public and private. We saw here in the Czech Republic many companies starting with this technology. Also, main telecommunication operators announced that they will open cloud services for public in the year 2012. 2012 crystal ball: I think the most visible trend for the year 2012 will be mobility. It will drive productivity in the enterprise. Price will be the key for the year 2012. Most significant story of 2011: Without doubt, it was the death of Steve Jobs. His impact on the IT landscape was profound and incomparable, and the industry is richer for it. It may seem strange — and perhaps a bit macabre — that the biggest IT story of 2011 was of somebody’s death. But it wasn’t just about the death of an IT visionary — it was about Jobs’s life, his achievements, his drive, and ultimately his legacy. If you want a poster child for the consumerization of IT, it’s the iPad. Enough said. 2012 crystal ball: I believe the trend toward mobile technologies still has some way to play out in the enterprise; organizations are, at this stage, just beginning to understand the implications these technologies will have on the workforce in terms of productivity. The undercurrent of the mobile trend is the consumerization of IT, and once CIOs understand how best to enable their organizations in this regard, we will begin to see some very innovative business implementations. Matt Egan, editor, PC Advisor, IDG U.K. Most significant story of 2011: From PC Advisor’s consumer tech perspective, 2011 has been the year when the shift from desktop to mobile went from theory to reality for our readers. Head and shoulders above all other products in this space is, of course, the iPad, but the really significant product that launched in 2011 was Android 3 “Honeycomb.” Why? To be selfish for a moment, writing about something as diverse, buggy, infuriating, malleable, and fun as Android makes an editor’s life a lot more interesting than talking about plain old Windows for the desktop and iOS on tablets. Much more important, for the first time since the original iPad launched, Apple now has genuine rivals in the third-device space, as manufacturers such as Sony and — in particular — Samsung have twisted Android and created great products in sizes ranging from 2 inches to 12 inches. 2012 crystal ball: Next year is all about Windows 8: a point upgrade for the desktop, perhaps, in that it merely adds an app store and the Metro interface to Windows 7. But in the mobile and tablet space, we should have a three-way shootout among iOS, Android, and Windows. It will rationalize in time, but it makes next year look like a lot of fun for us. Most significant story of 2011: I’d have to choose the consumerization of IT — that is, using commercial mobile apps, cloud applications, and social networks for business purposes. It’s similar to the 1980s’ PC revolution: “The IT department can’t give me what I need, so I’m going to go out and buy technology with or without IT’s approval.” It will take a while for IT to hammer out workable policy frameworks around consumerization to reduce security/compliance risks and avoid redundancy and fragmentation. 2012 crystal ball: I believe the private cloud is going to pick up momentum. Basically, IT is under enormous pressure to increase agility and effectiveness — by adopting technologies and techniques pioneered by public cloud service providers. On the one hand, we have VMware creating a huge stack of solutions to manage everything from virtual servers to storage to enterprise applications; on the other we have OpenStack, an open source effort for handling much the same stuff, with backing from Cisco, Citrix Systems Inc., Dell, HP, and others. The bottom line is that IT managers need to boost efficiency dramatically or risk losing chunks of their operations to public cloud providers. It will be fascinating to watch that play out. Most significant story of 2011: 2011 was the year social media really came into its own as an effective tool for political activism. Nothing underscores that more than the day in late January when Egypt’s embattled government realized technology was a weapon, and in an unprecedented move pulled the plug on the country’s connections to the Internet and took down mobile phone service. Egyptians regained access to technology and used it as a powerful organizing tool in the Arab Spring that ultimately ended the Mubarak regime. Even in the U.S., would the phrase “the 99 percent” have entered our lexicon so quickly without Twitter and the #ows hashtag? 2012 crystal ball: Many unresolved fights over intellectual property in the technology industry will play out in the coming year. The most closely watched lawsuits target Google’s Android operating system and devices that use it, but they do not appear to be slowing Android’s momentum in the mobile space going into 2012. Most significant story of 2011: The tsunami in Japan. Aside from numerous lives lost, various businesses were either destroyed or so adversely affected that global supplies of products and materials took months to restore. 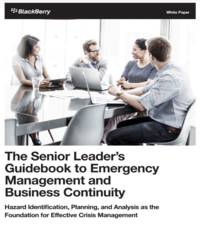 A timely reminder for CIOs to look beyond the obvious when implementing business continuity and disaster recovery plans. 2012 crystal ball: Tablets will go mainstream. More powerful tablet devices will replace desktops and laptops for email, social computing, communications, and knowledge sharing. Most significant story of 2011: Cloud computing. As it evolved from theory to lots of products and services, it created new companies (and jobs). And it will not stop there, consolidating as a market reality for the coming years. 2012 crystal ball: BYOS (bring your own security). We see the convergence of virtualization, mobile devices, cloud services, unified communications (voice and data), and a mix of new devices (smartphones, tablets) that are moving from the personal side to the corporate environment. In this context, the IT/security team will have to deal with big challenges in 2012: to allow and choose in which circumstances these devices can go into the company. They have to cope with how to manage smartphones, tablets, etc. that have corporate apps in a device also used for personal needs. The security of devices and networks will be a great challenge next year. Most significant story of 2011: I think the biggest technology story of 2011 was the use of social media to organize and report on the Arab Spring uprisings. Obviously, this revolution wasn’t built on tweets alone. But when the embattled government of Egypt felt it needed to shut down the country’s access to the Internet to maintain control, that shows the power of social media to organize the revolutionaries and inspire their supporters around the world. 2012 crystal ball: I believe 2012 might be the year that privacy finally comes to the forefront of our discussions of technology. The courts will rule on whether the federal government can, without a warrant, put a GPS tracker on your car. But that surveillance is almost insignificant compared to the vast amounts of data that companies like Facebook, Google, and Apple gather about us. And those companies are governed by few of the restrictions the Constitution imposes on the government. The time seems ripe for the public to really start considering whether they’re comfortable with Mark Zuckerberg or Larry Page as Big Brother. Most significant story of 2011: Better management of unstructured data: Oracle’s recent acquisition of Endeca for more than $1 billion dollars is an indicator of great change in the management of large databases. Structured databases seem to have reached a limit, showing difficulties in efficient real-time response to the challenge of managing large amounts of information from different sources. With vital business data distributed across a myriad of applications that organizations must take into account (social networks, Web 2.0 platforms, email, CRM tools, and so forth), next year we will undoubtedly see a higher degree of interoperability between solutions that aim at gathering, analyzing and interweaving the information coming from this great variety of sources. Through the acquisition of Endeca, Oracle extends beyond its comfort zone for the first time but is also adding to its current functionalities the possibility of getting information from new sources to provide more precise tools for analysis. Most significant story of 2011: The most significant event of 2011 was the death of Steve Jobs. He was a power brand in his own right and, of course, stood as the head of an organization whose products really did change the game in a profound way. Jobs reached people on a personal level well beyond the borders of the IT industry. The most significant trend was the consumerization of IT. We are seeing the ultimate merging of the professional and private. No longer are employees just bringing work into the private sphere, they have started to bring their private sphere — most notably their digital consumption patterns — into the workplace. And, of course, this isn’t just a device-centric trend but extends to applications as well. In 2011, we saw the tip of the iceberg. 2012 crystal ball: The continued consumerization of IT. For IT departments this really is a massive paradigm shift. At the same time IT heralds the demise of an IT culture based on centralized standardization and introduces a significant loss of power within the IT organization. Power goes to the end user, however, the responsibility for effective, optimized, cost effective and, above all, secure IT operations remains with them. Most significant story of 2011: Steve Jobs’s passing away was the biggest IT-related story of the year. He led the biggest business comeback in history and now his absence casts a shadow on the future of the iEmpire. 2012 crystal ball: In terms of 2012, we expect that the rise of “the third ecosystem” in the mobile space will be the biggest trend to follow. Both Apple and Android camps have lost some momentum recently. So Microsoft and Nokia together may just be able to seize the opportunity with the new Windows Phone platform. Most significant story of 2011: The telecom operators in Singapore have made significant inroads into the enterprise IT space through cloud computing. They have launched a variety of cloud-based offerings that are based on partnerships with vendors like VMware and Symantec. Their target customers are small to mid-size companies. These organizations tend to have minimal IT departments. In terms of spending power, their technology budgets are dynamic. They prefer dealing with one to five vendors that can offer multiple services or products. The operators started off from simple offerings like data center hosting and data connectivity. It has been a starting point for them to place more services and products like cloud-based applications. With money from mobile phone, broadband Internet and cable television markets starting to even off, these operators see the enterprise IT space as their new revenue-generating playground.